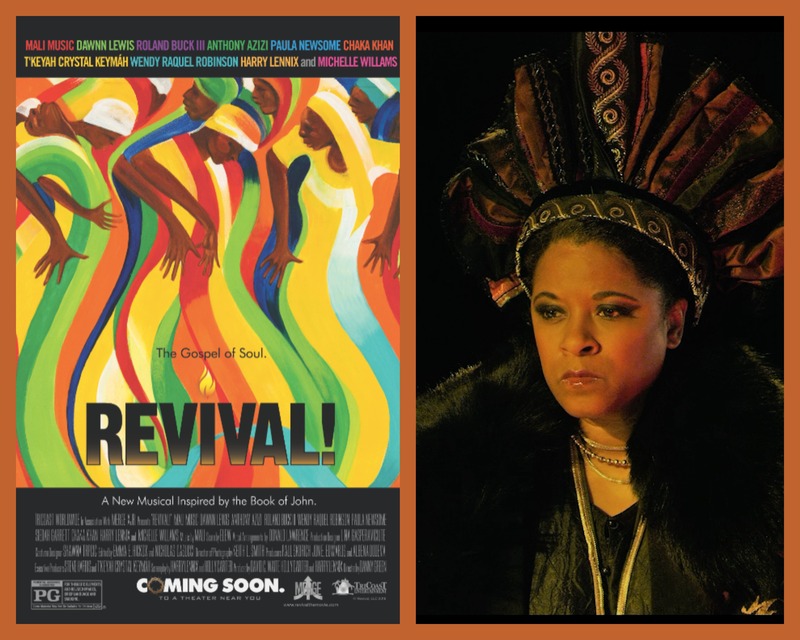 Last night, I was blessed to attend an exclusive behind-the-scenes preview of Harry Lennix’s (The Blacklist) gospel-musical film REVIVAL! at Atlanta’s Word of Faith Church. REVIVAL! is a thoroughly innovative celebration of the life and ministry of Jesus Christ through faith, film, and theatre. A Gospel musical based on the book of John, REVIVAL! speaks as a letter from Jesus to a troubled and ever-contemporary world. The journey begins with a live Passion Play in a contemporary metropolis and expands from there into a world of vibrant image and immersive sound. REVIVAL! is an authentic expression of Black Faith in form and intention. 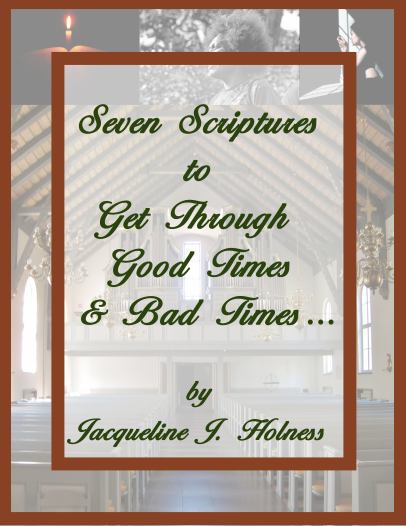 It’s also a unique way to re-imagine a renewal of the everlasting and joyous creative spirit of the black church experience! REVIVAL! stars Mali Music as Jesus, BET and Imagine nominee Michelle Williams (Destiny’s Child), 10-time Grammy winner Chaka Khan (The Blues Brothers), executive producer T’Keyah Crystal Keymáh (In Living Color), and Niki J. Crawford, whose powerhouse vocals enhance the film’s innovative approach, transcending time and space, and more! I was able to interview T’Keyah Crystal Keymáh last night! Check out the interview below! What attracted you to this film? My friend Harry Lennix asked me to be a part of it and because of our friendship and the trust I have in him, I said yes before I read the script. I have turned down, whether it’s an offer or an audition, many more things than I have accepted. I am highly grateful and blessed that I am that person who turns things down and has still been able to work consistently for decades now. This production pretty much died three times in the course of five years before it finally came to fruition. What kept you coming back to it when you didn’t have to do so? I just felt like it was really important. My sister and I talk a lot about when something is going wrong and we feel like, ‘Oh Lord, why are being tested?’ We say, ‘Well, the devil doesn’t bother with people who aren’t doing anything right.’ The devil is cool with you if you are making devilment. There’s no need to create a challenge for someone who is already acting up. But if you are doing something right, the forces of evil, whatever you call it, the devil, evil, whatever you call people who are against goodness, they are only going to bother with you if you are a problem. And you are only a problem if you are doing good works. And I feel like there were probably forces that came after us, after this film to put blocks in our path so that something this encouraging of humanity would never see the light of day. And that’s in addition to an industry that loves horror and violence and degradation and abuse of human beings. It’s hard to get a film that’s about goodness out and get a distribution deal. And to so to me, part of me feels like if something is trying to stop me, I might be doing something right. After the third time is when you signed on as a producer, right? I don’t know every step of the way because I wasn’t on the set every day and Harry is not one to complain. And so when I came on the set and saw his face fallen, I knew something was very, very wrong. And there were a lot of challenges with schedules especially as the project grew and grew. There was a budget to do this very small version. And there was a schedule to do the very small version. But now this person can join, but we have to wait for them. And this person is available Tuesday but not Wednesday. This one is available Thursday but not Friday. So let’s wait. And as we wait, this is going to cost us more and that is going to cost us more. And then some people acted up and now we have to wait for other reasons. But this time, I said, ‘What is going on? What’s wrong?’ He said, ‘I’m not sure if we’re going to make it through. And I said, ‘What can I do?’ And he said, ‘Do you have blank blank dollars?’ And I was like, ‘Oh for real?’ I said, ‘Hmmm. If had that much, then what would happen?’ He said, ‘Then we would keep going.’ And I said, ‘Let me see what I can do.’ And I wasn’t the only one to do that either. I kept it going when I could keep it going and others kept it going later. What do you hope people will get from this film? One, I hope that people will see REVIVAL! and be inspired by it and think differently about who they think God is. I think the movie is absolutely for everyone but for people of color, particularly for black people, Africans who ended up in this place where the institution of slavery was worse than any other place. And that we succumbed when we did to horrific, constant degradation and a loss of everything – loss of language, culture, pride, heritage – everything. A lot in part because we were shown this image of a person who was the physical opposite of us. And we were told this is God. And if this is God, you cannot be God. You cannot be divine. You are the opposite of God. You are the opposite of divine. And you don’t deserve anything better than to eat out of the same bowl that a dog eats from. And to be whipped and then raped. And then killed. But truth, science, everybody, logic knows that there were only people of color. So when people say, ‘Black Jesus’ that’s redundant to me and it offends me. That’s like saying, ‘Black Tkeyah.’ What else am I? Of course, these people were of color. This is not a colorblind cast. This is a color-corrected cast. Just like this image of a blue-eyed blonde Jesus made us suffer, I hope that this much more color-corrected image of Jesus lets us know that we really do have divine in us. I pledged 36 years ago. 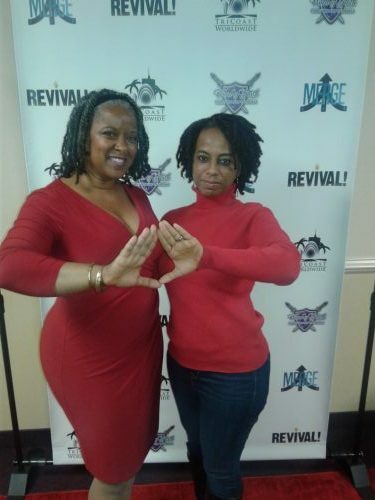 My sister is a Delta and to tell you the truth, when she pledged, I knew nothing about black Greek life and I thought she had been abducted by a cult. I thought I would have to go in there and infiltrate and save her. (Laughter) But then after I got to college, I said these people might not be so bad. I made the decision that I always intend to be good and I want to belong to an organization whose purpose is to do good work. And I liked being held accountable for service. I’m a Golden Life member. I went from Beta Alpha at Florida A&M to Chicago Alumnae, and I have for the past several years been a member of Century City in Los Angeles. I have served in many capacities. I chair two committees now. And I’m on a national committee. I’m on the National Arts & Letters Commission advisory team. I am honored Soror Smith blessed me with that position. As of today, REVIVAL! is in select US cities (Atlanta, Detroit, Houston, Dallas, Miami, Chicago, Philadelphia and Los Angeles)! REVIVAL! will have its second rollout in January 2019, expanding to screens in Memphis, Baltimore, New Orleans, Norfolk, St. Louis, San Francisco, Cleveland, Orlando, Boston, Tampa, Milwaukee and additional theaters coming soon. If you live in the Atlanta area and would like TWO free tix to REVIVAL! at AMC Southlake, you have to be the first person to comment and tell me the name of the show that T’Keyah Crystal Keymáh starred in as a mother. I had no idea about this movie! Hoping it’s still in theaters and if not, will keep an eye out for the DVD. Great job Soror! Thanks so much for reading Soror!